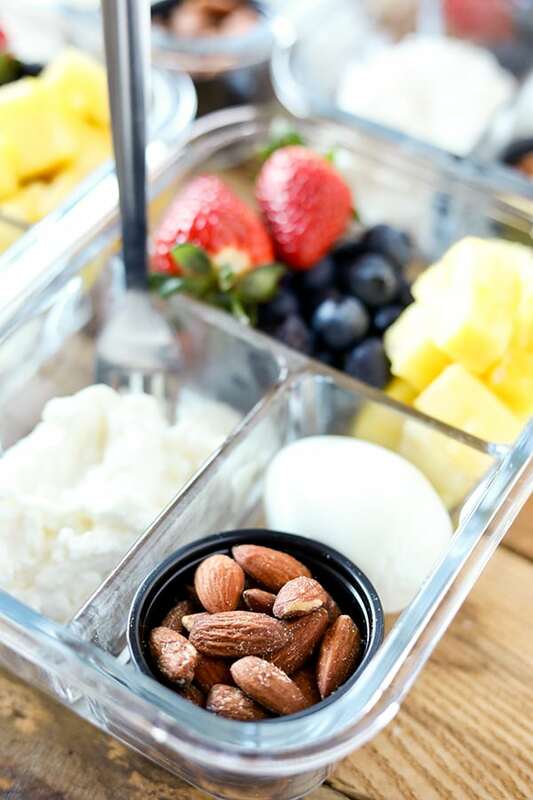 This DIY Breakfast Protein Snack Box is so easy to put together and perfect for grab and go or taking to work. 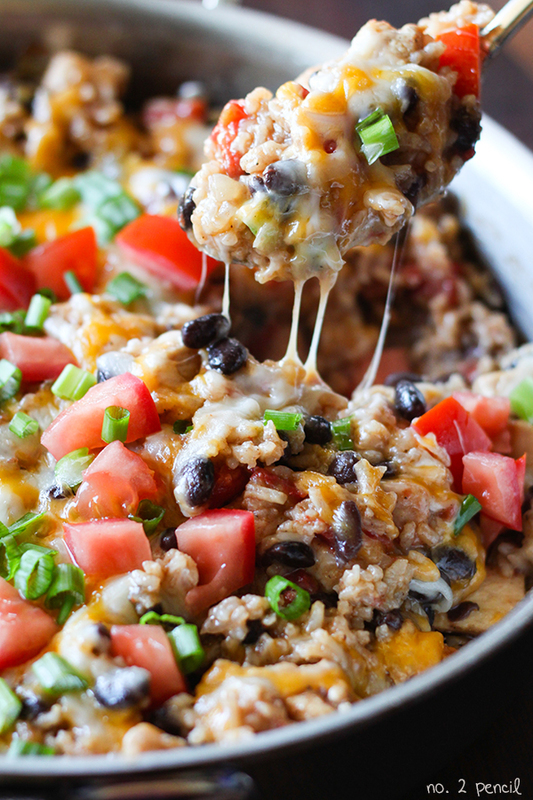 These are some of my favorite breakfast foods. 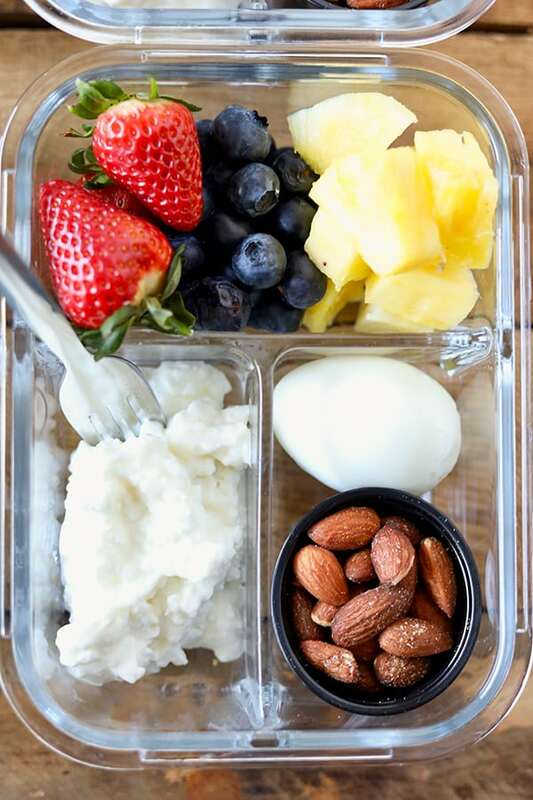 Fresh colorful fruit, a hardboiled egg, cottage cheese and roasted almonds for a little crunch. Some mornings are so hectic, it’s a lifesaver to have breakfast prepped and ready to go! For these meal prep boxes, I used these glass meal prep containers. The lids snap on really nicely and I like how the dividers keep everything organized. If you are packing for kids or taking them on the go, they have BPA free plastic divided containers. To keep the almonds organized and portion controlled, I use these portions cups with lids. 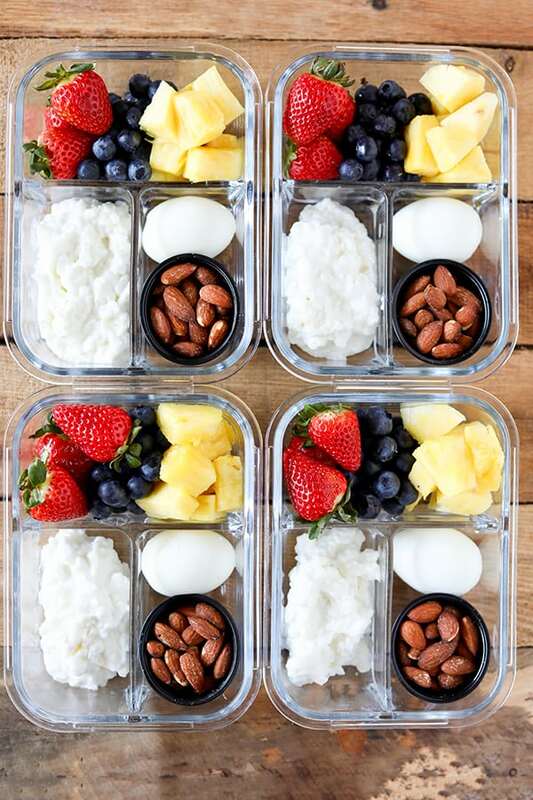 Divide ingredients evenly in 4 meal prep containers. I can’t wait to try this! I am picking up the ingredients tomorrow. I work in a grocery store, so it is easy for me to just grab whatever for breakfast; sometimes, not the best options. When I do take breakfast to work, it is similar to this. I may try Valencia almonds with it! So excited to try your suggestions! Thank you! I’m so excited to start eating healthy again. Can’t wait to see the results.